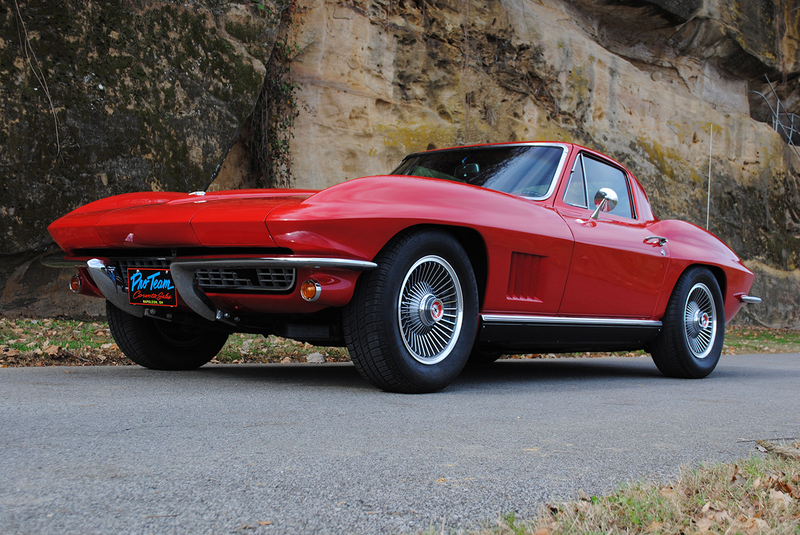 The 1967 Corvette marks the end of the Corvette’s second generation (1963 to 1967). The 1967 Corvette is unequivocally the high water mark or holy grail for Corvette collectors in the know and has an appreciation record that tracks well back to the mid 1970’s with many selling for the six figure range today. 1967 Corvettes were produced from September 1966 through July 1967 with a total production of 22,940 of which only 8,504 were coupes. 1967 Corvette had functional side fender vents with five slots. 1967 Corvette had a blue GM Mark of Excellence label attached to the back of each door above the latch. 1967 Corvette engine combinations were: 327-300 hp (6,842 produced), 327-350 hp (6,375 produced), 427-390 hp (3,832 produced), 427-400 hp (2,101 produced), 427-435 hp (3,754 produced), 427-435 with aluminum heads (16 produced), 427-430 [L-88] (20 produced). 1967 colors were: Tuxedo Black (815 produced), Ermine White (1,423 produced), Rally Red (2,341 produced), Marina Blue (3,840 produced), Lyndale Blue (1,381 produced), Elkhart Blue (1,096 produced), Goodwood Green (4,293 produced) , Sunfire Yellow (2,325 produced), Silver Pearl (1,952 produced), Marlboro Maroon (3,464 produced), and ten (10) 1967 Corvettes had non-standard paint or just plain primer. The 1967 was the last year of the famous Sting Ray (two words).